For insulation contractors who will install only the best products available in your home in Columbus, Ohio, turn to 31-W Insulation. When our installers replace the old insulation in your home, you’ll be able to benefit from a cleaner home and reduced energy usage. Any old materials in your walls and attic that may be collecting moisture and mold spores will be cleaned out and replaced by new and superior insulation, reducing the likelihood of mold and mildew growth throughout your house for a safer home. And, with newer products insulating every nook and cranny of your house for the most thorough protection from heat transfer, you’ll be able to enjoy more consistent and comfortable temperatures without your HVAC system needing to work as hard, which may significantly lower your energy bill. The expert contractors at 31-W Insulation are all our own highly experienced employees, not subcontractors, so you can trust that they’re committed to upholding our stringent standards of excellent customer service and superior workmanship. Our family-owned and -operated company has been insulating homes in the Southeast since 1972, and our experience throughout the decades has helped us hone and perfect our process to provide the best customer experience possible. 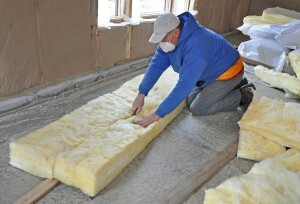 To find out more about having our insulation contractors service your Columbus, Ohio, home, contact 31-W today.